Happy Monday! And with Monday comes Monday Made It! I had big plans for this week's Monday Made It. Unfortunately, most of the items on my to-do list never became to-done. However, I was able to snap together a quick flip book for today. 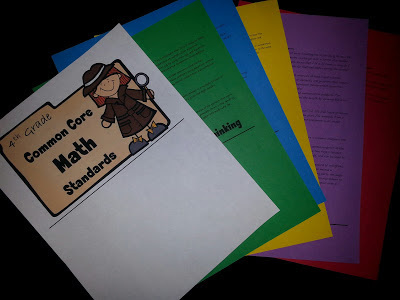 Lately, I have been working hard on some new products that will be aligned with the 4th Grade Common Core Math Standards. Problem is, I can't keep them all straight and I'd like to refer to them throughout my products. I kept having to flip back and fourth between screens on the computer. Honestly, it got old fast. So, I threw together a quick and colorful flip book. It contains all the 4th Grade Common Core Math Standards and you can snag it here for free. 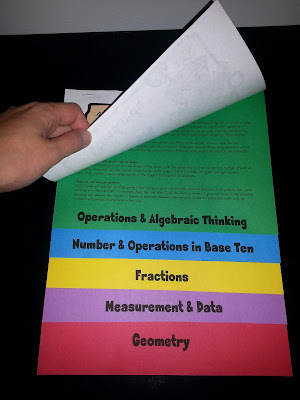 Simply print each page on a different color sheet of paper, cut on the lines, and staple or bind it together. Hopefully some of you fourth grade teachers will find it handy. 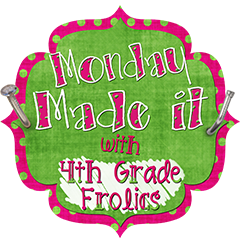 Enjoy and don't forget to check out all the other Monday Made It's! Oh, and don't forget to stop back next Sunday for the start of my first linky party: Back 2 School. I look forward to linking up! Thank you for sharing! It will be very useful in planning this year. I love the ease of having this in a flip book. Thanks for sharing it as a freebie. I will definitely use the flipbook! Thanks so much! This is ideal!! I hate looking them up scrolling up or down on the screen all the time. My paper copy was our pacing guide which meant lots of flipping various pages, or lots of going back and forth on my phone using the app. This will be so helpful. I just purchased bright colored paper by mistake (thought it was cardstock!). Now I have something to use it for immediately. Thanks for the freebie. 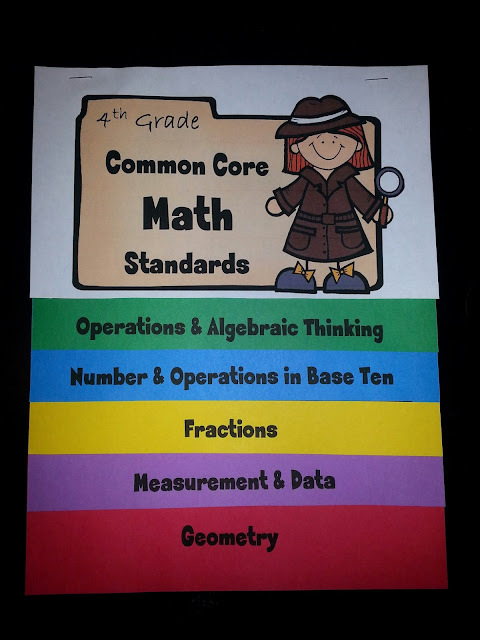 On the lookout for fourth grade teachers; will follow you for more tips! Thanks again! This will be good for open house or to just keep in my binder for a quick reference! Thank you! I am putting this in my 4th grade file for when I go back there! I love this! Will you be making a reading/writing flipbook?